Privileged Access Management is a key component of any cybersecurity ecosystem. Implementing a PAM solution should be an easy and transparent process embedded in organizations' practices and daily activities to optimize efficency. 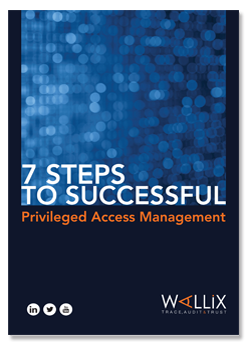 These 7 steps will give you a starting point to identify the areas you need to focus on to implement an effective management of privileged users. Fill out this form to learn about the makings of a cybersecurity success story.